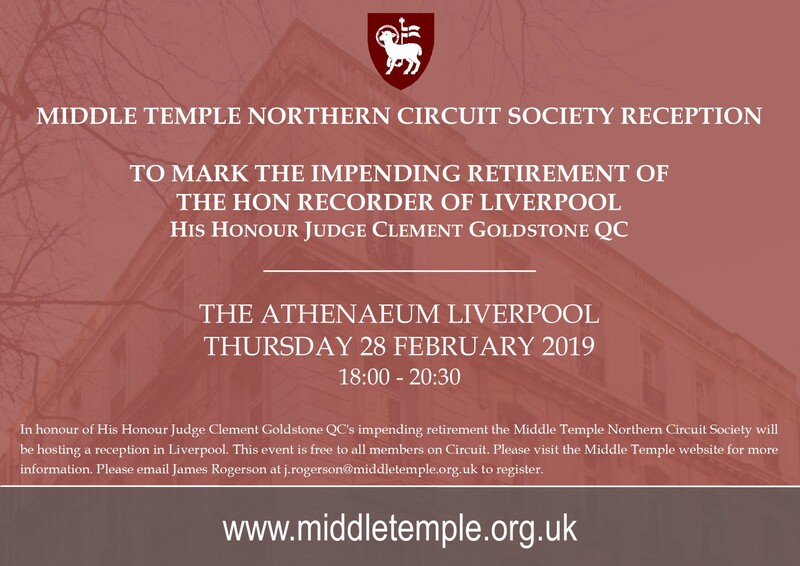 In honour of His Honour Judge Clement Goldstone QC's impending retirement the Middle Temple Northern Circuit Society will be hosting a reception in Liverpool. This event is free to all members on Circuit. Please visit the Middle Temple website for more information. Please email James Rogerson at j.rogerson@middletemple.org.uk to register.